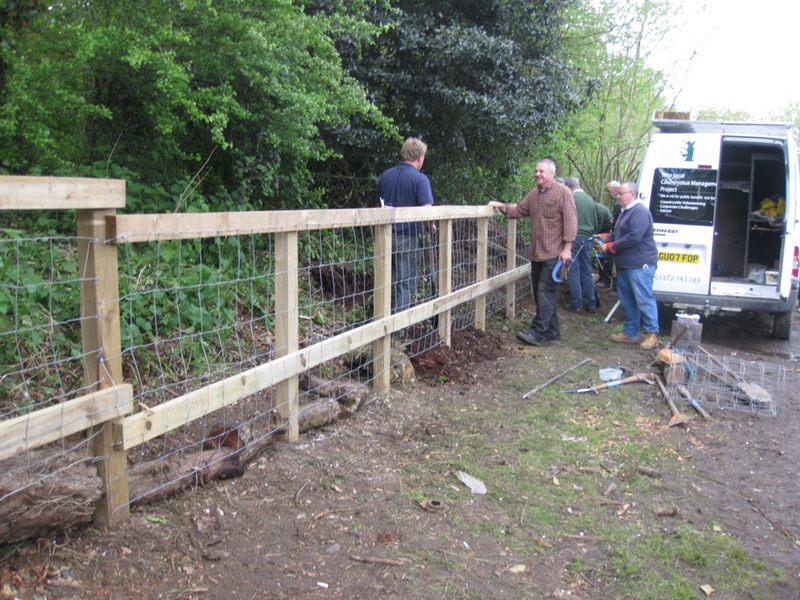 The LMP volunteers planted a boundary hedge at Thorncroft Manor, Leatherhead as a wildlife corridor and landscape feature along the River Mole in the early 1990s. 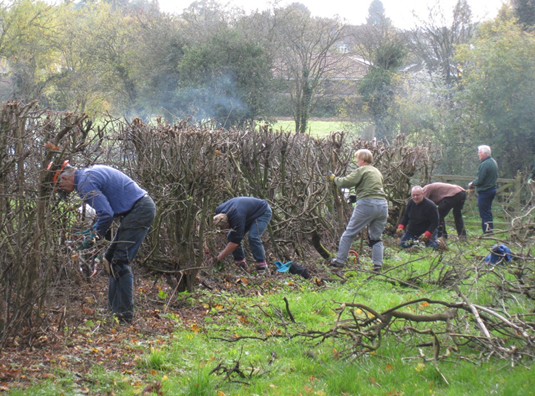 In the early 2000s the volunteers laid the whole hedge, approx 250m, and it has since been pruned. The hedge now requires laying again to rejuvenate it, encouraging dense growth, increasing the wildlife value and providing a market for produce from local coppiced woodlands. Halcyon, based in Thorncroft Manor, has agreed to pay 50% of the costs, with the remainder being met by a grant from LMCT and funding from Mole Valley DC. 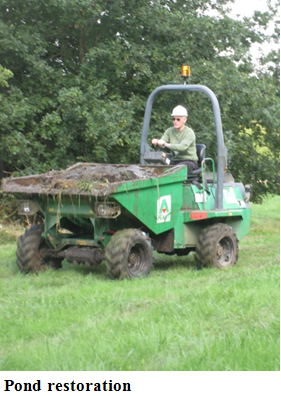 The Trust contributed towards the cost of de-silting Field Pond in Horton Country Park by the LMP using machinery. The LMP erected fencing around the pond 3 years ago to keep dogs out as the ponds biodiversity had severely declined. Since then the water quality has improved and great crested newts have been found, but work is needed to maintain sufficient open water. The Friends of HCP also contributed to this project. The Trust awarded a grant of £800.00 towards the machinery operator refresher training/re-qualifications for 7 Lower Mole Partnership experienced volunteers. These machines are hired/used by the Partnership on seasonal tasks such as surfacing/access improvements and pond restoration, so it was imperative that the volunteers gained their re-qualifications alongside the staff so that several trained people can continue to be available on each task day to carry out this work safely and efficiently. The Trust has awarded a grant of £600 to complete more work along the Young Street Road verge. This is a wide verge alongside the boundary with Norbury Park, supporting a broad range of chalk grassland plants, including a steep bank. Scrub has encroached and shaded out the flora. 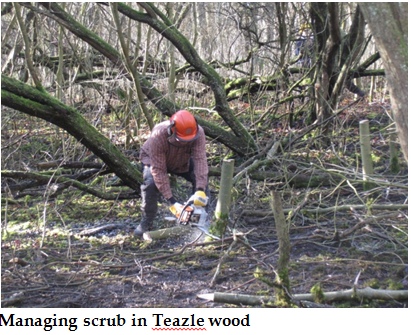 LMP spent two days last winter clearing half of the scrub, chipping it and treating the stumps. This was funded by Mole Valley DC. The grant from LMCT will fund the work necessary to complete the clearance on the level area over this winter. Following the positive results for wildlife of fencing Field Pond, Nonsuch Park Joint Management Committee agreed to fence off Round Pond to reduce dog disturbance, as this historic pond had lost virtually all the plants recorded as present by Surrey Wildlife Trust in 2005. 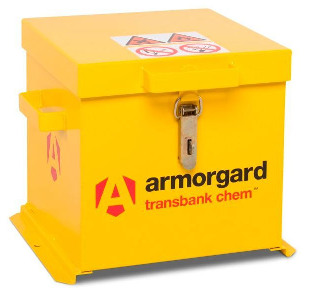 The LMCT received a donation for this work, which was added to by a SCC Member’s Allocation and a grant from LMCT in order to cover the full cost. The work was completed by the LMP in July. Hunting Gate Open Space started as a narrow strip of land bordering Chessington Golf Course, with a public right of way running along it’s length. A couple of years ago the golf course closed down, and local residents became concerned about the future of this much valued strip of open space. A small group of local residents was formed, lead by Yana Pocklington. Yana met with the Lower Mole Partnership, Councillor Trisha Bamford and other interested parties to plan what could be done to improve and protect the area. Yana’s enthusiasm spread and soon she had work parties organised, promises of help and donations from local companies and a whole community engaged in this small but valuable site with a stunning view. In a very short space of time hedges had been planted, rubbish cleared, bird boxes put up and a noticeboard installed. Yana secured funds from a variety of sources including the Lower Mole Trust, and since May the LMP have made several visits to the site. Works have included the installation of two kissing gates, a wild flower interpretation panel, a bench, some steps and a small boardwalk to bridge a muddy section. Volunteers have also cleared laurel, pruned trees and planted trees. This is a fantastic example of local people caring about their wildlife and countryside, coming together and achieving an enormous amount on their doorsteps. The Lower Mole Countryside Trust, (LMCT), is fortunate to be one of the three charities being supported by Cllr Liz Frost, Mayor of Epsom & Ewell for 2017/2018. This is a great opportunity for the Trust to increase awareness of our local environment and to raise funds to continue our work. During the year there are a selection of events planned to raise funds for the three chosen charities – The Sunnybank Trust, Citizens Advice Epsom & Ewell, and the LMCT. 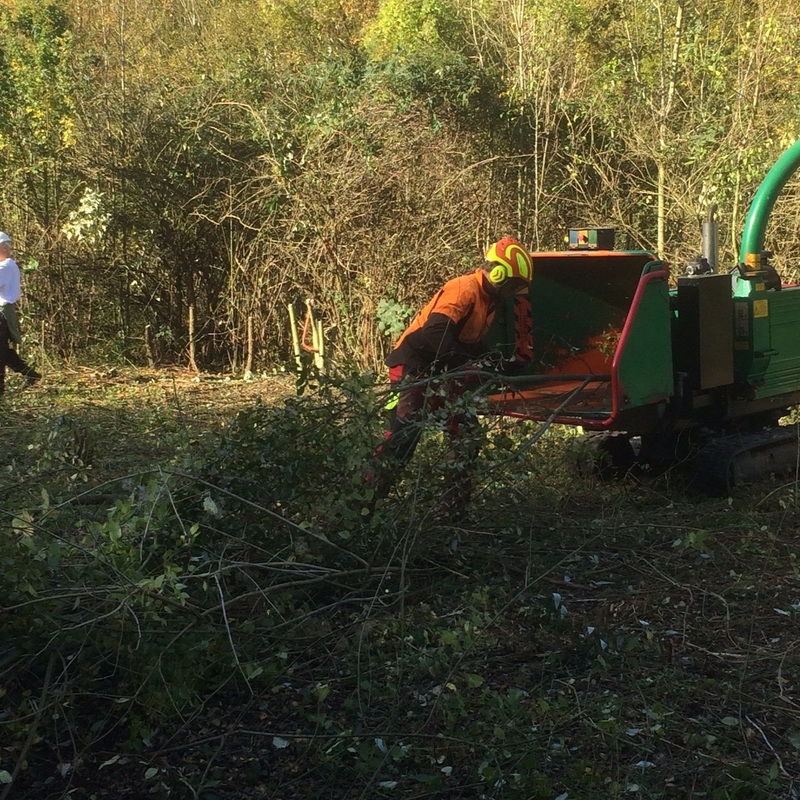 The Trust agreed a grant towards the cost of chainsaw training at Merrist Wood for the Surrey Countryside Partnerships team apprentice. This further increases the skills that he has gained during his time with the Partnerships. 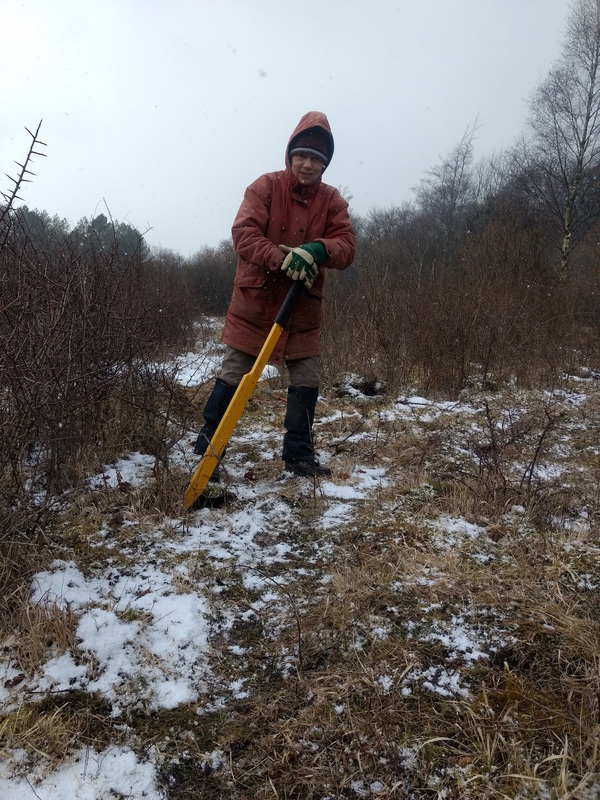 The Trust continued to support the Lower Mole Partnership’s Living Woodlands scheme, and awarded a grant to the Nonsuch Park Volunteers (a living Woodlands site) for the purchase of a pole saw to replace the existing one which was no longer serviceable. This allows the volunteers to undertake more effective tree pruning and maintenance. 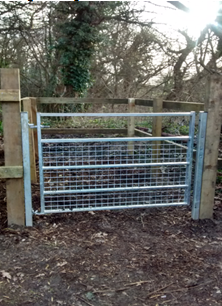 The Trust received a Neighbourhood grant from the Royal Borough of Kingston for the purchase and installation of a metal pedestrian gate, with a wooden kissing gate style box around it. This is to stop motorcycles entering the site and also to give it a more cared for look. This was part of an agreed plan with Historic England and the Royal Borough of Kingston upon Thames. The Teazle Wood Trust was founded in 2015 by the Friends of Teazle Wood, who formed in 2011 to campaign to save Teazle Wood, 57 acres of woodland in Leatherhead. It is a very valuable site with an interesting history. 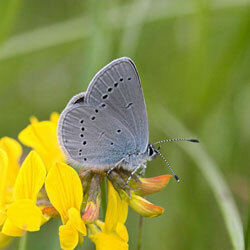 A grant was awarded to them to continue with their habitat management work this year. 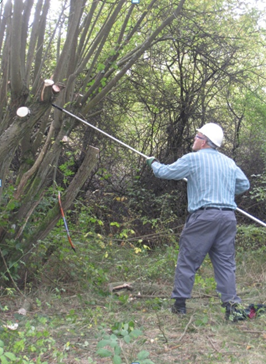 Previously the Trust funded an application from the Lower Mole Partnership to purchase a powered polesaw. However, its use was limited as only one member of staff was trained to use it. The Trust has now funded training for two volunteers to be trained in its use. 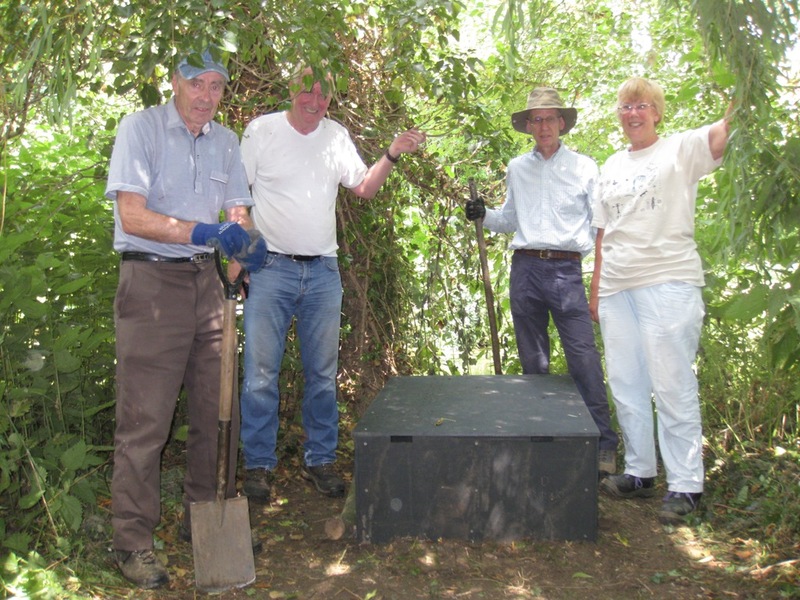 In 2013 the Trust raised funds from Surrey County Council members’ allocation, the Friends of Horton Country Park and a contribution from Epsom and Ewell Borough Council to enable the LMP to undertake the first stage in its restoration. In 2015 the same funders gave further funding to enable the LMP to undertake a second phase. 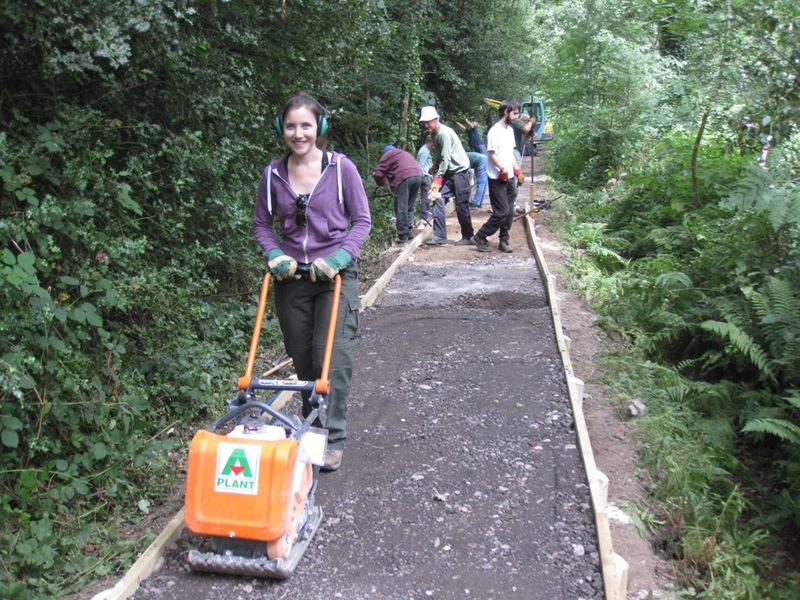 An increased volunteer workforce meant that the Friends had an insufficient number and variety of tools, especially when joined on task by other organisations. The Trust agreed a grant to enable the Friends to purchase the necessary items. We are very pleased to announce our first formal corporate partnership with Kantar Worldpanel UK, based in Epsom town centre and with a second office in Hangers Lane, West London.Kantar Worldpanel is the global expert in shoppers’ behaviour and the company has the UK’s largest consumer panel. Comprised of 30,000 households, the panel enables the company to offer the largest single source of continuous consumer and shopper insights. The company has a strong corporate responsibility, nationally and internationally. Their ‘Helping Hands’ initiative was established in 2010 as a way for Kantar Worldpanel UK to give back to the local community in a more personal way. Volunteers from across the business drive their UK charitable work through fun internal activities and formal partnerships with local charities. The Lower Mole Countryside Trust is proud to be the first charity now being formally supported local to their Epsom office. Staff have already provided their ‘helping hands’ during the last couple of years, joining in with Lower Mole Partnership summer Himalayan Balsam bashing at Bonesgate in Chessington. For 2016 we will be offering four, varied Lower Mole task days for staff to join in with, plus we are aiming for a large number of staff to come out for a nice spring task on ‘Give and Gain Day’ on 20 May. We also hope to work on future fundraising initiatives in partnership with Sophie Quinn, an Analyst based at their Epsom office, who leads on organising the staff volunteering activities. Sophie is a keen practical conservation volunteer and will be encouraging lots of colleagues to come out volunteering with us in the glorious local countryside. Debbie Hescott said “We are very grateful to Kantar Worldpanel for their continued enthusiastic support of our Lower Mole work. We are really looking forward to further developing our relationship with Sophie and the team and to welcoming staff out on task with us throughout the year. We will be encouraging many more local companies to establish similar corporate partnerships with us as well”.